Rockler Woodworking and Hardware has announced the top holiday gift ideas for do-it-yourselfers - DIYers - in 2014. The list is composed of the 'most wished for' items on the Rockler.com website, which has seen thousands of visitors as the holidays approach. Turning is an increasingly popular hobby that can be enjoyed even if space and budget are limited. With this lathe, anyone can turn out pens, bowls, ornaments and more. This gift will turn up a smile on any DIYer's face. Whether steadying a cutting board in the kitchen or holding a board in place for routing or sanding in the shop, these rubberised gripping pucks add a little height and a lot of stability under various workpieces. The ultimate DIY stocking stuffer! This new twist in powered screwdriver technology will be a welcome gift for any DIYer. A flick of the wrist changes this driver from forward to reverse and increases speed in either direction. This type of gift is a toy that is sure to be used right out of the box. All DIYers need to have clear vision of what they are working on. This 60-LED light and .75X magnifying lens on a flexible swivel is especially helpful for detail work. A better view is a gift that truly keeps on giving. Building projects like furniture, frames, and shelves become simple with this kit and a few other basic tools. Guiding rip cuts, pocket holes and shelf pin drilling are this kit's specialties. An ideal gift for the budding cabinet or book shelf maker. A dream machine for the gadget lover or anyone who likes to be creative with computer designs, woodworking or best of all, both! "This list shows that DIYers love both new technology as well as tools that are tried and true," says Steve Krohmer, Rockler's Vice President of Product Marketing. 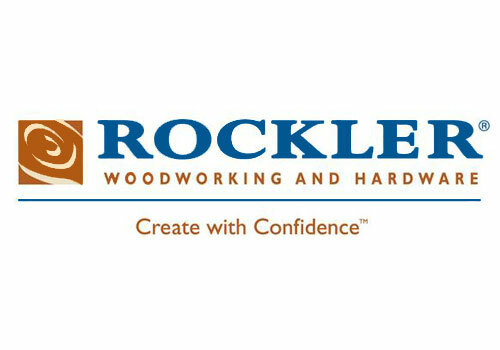 "The good news for shoppers is that all of the tools DIYers really want are available at Rockler." The Rockler.com website features a Holiday Gift Guide that lists hundreds of additional gift ideas. The Gift Guide is designed to help shoppers find the best gifts for the DIYers in their lives, from small stocking stuffers to large power tools and everything in between.